The Traveler’s Choice Pomona 2-piece spinner set is constructed of durable 100% polycarbonate hardshell case that is strong yet light. 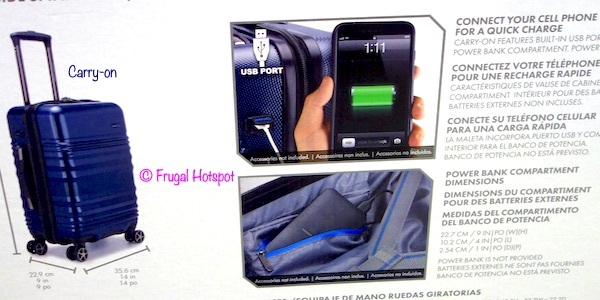 The carry-on spinner includes the “iTRAVEL” USB port and interior power bank compartment (power bank not included) so you can easily connect your phone for a quick charge. 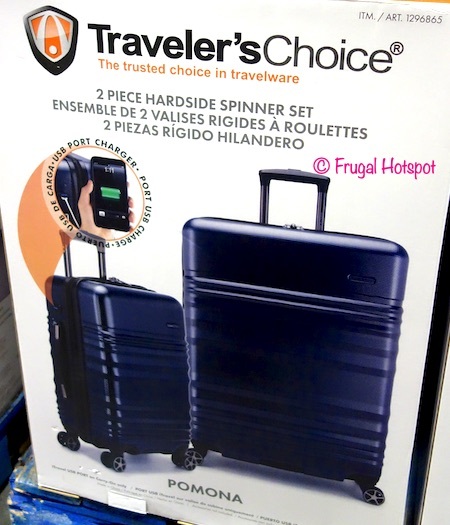 Select Costco locations have the Traveler’s Choice Pomona Hardside Spinner Luggage 2-Piece Set on sale for $99.99 (after instant savings), now through April 23, 2019. That is $30 off Costco’s regular price of $129.99. While supplies last. Item #1296865. This hardside luggage comes in Dark Blue or Gray, depending on what your local Costco has in stock. 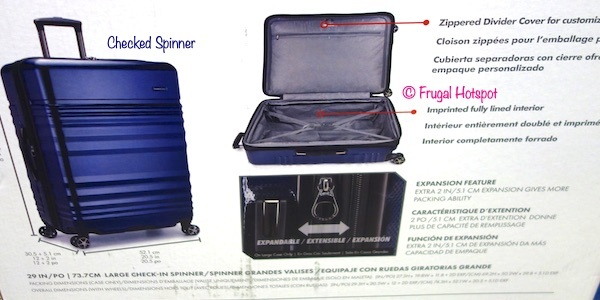 The 360-degree 8-wheel spinner system and the aluminum retractable handle system make it easier to maneuver your luggage. The retractable handle with push-button lock also adjusts to 3 heights for comfort and control. The luggage is designed with an exterior embossed texture to hide scuffs and bumps. For baggage restrictions and requirements, please check with your airline. NOTE: The larger 29” checked spinner does NOT have a USB port.